13 November 2007: In October 2007 the UK government’s Local Government and Public Involvement in Health Act was finally approved by Parliament and overhauled the system of governance in most English councils, seven years after the landmark Local Government Act, which introduced the elected mayor model for the first time. The new Act requires council leaders to be installed for four years, thus almost creating a Swedish-style indirectly elected mayor. Earlier that month, a five-year academic study commissioned by the government had found that the new forms of executive-led governance introduced under the 2000 Act had improved local authority performance and the quality of decision-making. Yet among England and Wales’ 410 local authorities, only 12 have opted to be led by a directly elected mayor, with the remainder headed by a traditional council leader elected from among their fellow councillors (usually the leader of the majority party on the council). 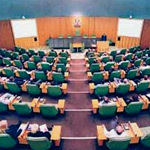 Following the passage of the 2007 Act, the 388 English local authorities (excluding those with populations of less than 85,000) will now have to consider what form of leadership model their council will have  either a directly elected mayor and cabinet on a four year mandate, or a leader and cabinet elected by the council itself for a four-year mandate. The government believes that requiring the council leader to be in place for four years provides clearer leadership (almost an indirectly elected mayor and somewhat closer to the continental model of the executive mayor elected from among the city council). Furthermore, the requirement in the 2000 Act for a referendum to take place before any council can shift to an elected mayor form of leadership has been dropped (now a vote of the council will suffice), though voters can still demand a referendum to force the system on any reluctant council. How many elected mayors are there in England and how are they constituted? Since the Local Government Act 2000 was passed there have been 36 referendums in England and Wales since 2001, with only 12 providing ‘yes’ votes on the issue of introducing an elected mayor. The 12 (11 of which are ‘Mayor and Cabinet’ and one is ‘Mayor and Council Manager’) are spread across England, in both lower tier and single tier councils (there are none at county level), with three in Greater London and three in the North East of England. Common features of the 11 Mayor and Cabinet systems are council constitutions which vest executive power in the mayor and cabinets of between two and nine members drawn from the council to assist him or her, as well as four year terms of office. Of the 12, only one mayor is female (Dorothy Thornhill of Watford). Labour has the most mayors (six), with four independents, one Conservative and one Liberal Democrat. Some councils operating under the elected mayor system also have a non-directly elected civic Mayor or Lord Mayor to perform traditional ceremonial roles associated with the post. The Mayor of London, introduced in 2000 following the government’s reforms to the pan-city governance of the capital, is unique within England and not a local authority system as “England’s first and only regional government”. While Ken Livingstone is often considered one of England’s elected mayors by the media, his powers do not stem from the Local Government Act 2000, nor is the Greater London Authority a local council. What is the procedure now for moving to an elected mayor system? Under the new Act, a council can simply resolve to move to an elected mayor system by a vote of the full council, without the need for approval in a referendum. Members of the public can still request a referendum to decide on having an elected mayor, if 5% or more of registered voters sign a petition to that effect. However, the time limit on having another referendum on the issue if the proposal falls has been extended from five years to 10. 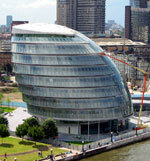 What will happen to the only example of the Mayor and Council Manager system in the UK? Only two councils held referendums on the mayor and council manager model and only one of these, Stoke on Trent City, was successful. As such, the model was something of an anomaly and struggled to gain acceptance, with one mayor who failed to gain re-election in the city claiming it failed to enable him to govern properly. The October 2006 Local Government White Paper Strong and prosperous communities stated that the government would iron out this remaining inconsistency by removing the option from legislation and working with the council to move to another form of executive leadership. The government then announced that a referendum would take place on a new form of leadership so that on expiration of the current mayor’s term in 2009 a new system would be in place, subject to local discussion on what that system should be based on the new models on offer. What was the academic study into council leadership and what were its findings? Undertaken by a team from the University of Manchester, Salford University and Goldsmiths College, London, the report The New Council Constitutions draws on surveys across England's local councils conducted in 2002 and again in 2006, sample surveys of officers and councillors regarding attitudes, and 40 case studies. The team felt that the evidence obtained showed the new arrangements had delivered on the government's intentions in 2000 to "create more visible and effective leadership", "enhance democratic legitimacy of local government" and "provide sufficient checks and balances". They also found that where councils accorded more power to the leader there was a visible trend in improving performance, as demonstrated by rising CPA scores in these authorities. Public satisfaction levels with councils is strongest where the leadership is stable and not subject to change. The report found that the new arrangements were favoured more by council officers than councillors themselves, with executive members more positive than non-executive members and Labour councillors more positive than other parties. Both councillors and officers felt that "new executives were effective in providing a vision for the area, leading a drive to service improvement, setting the policy direction, ensuring delivery, dealing with the budget process and lobbying for resources." Why have elected mayors proven so unpopular in England then? The debate around elected mayors was always one of the chattering classes and/or academic circles, with New Labour largely finding favour with the concept as a means to modernise Britain’s antiquated and dysfunctional system of local democracy and the Conservatives and Liberal Democrats hugely against. As such, it was almost doomed from the outset, with hostile local media and sceptical voters routinely rejecting the proposals when put before them, much to the government’s chagrin. When the government began to legislate for the proposals in the first years of Tony Blair’s term of office, it envisaged large metropolitan city councils such as Birmingham and Manchester adopting the new system, not backwater local authorities such as Hartlepool and Mansfield, where voters tired of the local Labour establishment’s lethargic governance opted for independent mayors instead. Despite the promise of GLA-style “city regional” powers for conurbations like Birmingham, Liverpool and Manchester if they opted for elected mayors, the city councils concerned have resisted any such moves. Elected mayors are particularly unpopular with local councillors, who either mistrust the idea of voters choosing city leaders rather than party groups or suspect direct election will deny them the chance to lead an authority. At the last referendum before the 2007 Act became law, in Darlington during September 2007, the opposition campaign’s charge that elected mayors led to unstable mavericks getting elected (ie. Ray Mallon in Middlesbrough) largely stuck, despite some local disaffection with the way in which the council was run at present. Campaigners in Doncaster and Lewisham are currently seeking to return their councils to the old system of having a council leader rather than having a directly elected mayor, with The Times suggesting that the current system leads to “despotism”. What is the situation in Scotland and Wales? Local government in Scotland is a matter for the Scottish Parliament and early in its life following the introduction of devolution in 1999, the Scottish government resolved not to introduce the elected mayor system and instead encouraged other forms of modernisation, such as proportional representation for local councils (since 2007). In Wales the potential existed for elected mayors to be introduced in its 22 unitary councils but only one referendum took place (in 2004) and was massively defeated. Local government has, since 2007, become a matter for the devolved administration in Wales and it tends to share the view of Welsh councils that elected mayors do not form part of the agenda for improving public services in Wales, making elected mayors very unlikely therefore. Is there any future for elected mayors in the UK? Elected mayors were almost certainly a creature of Tony Blair’s time in office and despite Gordon Brown’s fondness for US-style solutions to British political problems, his closest advisers do not share Blair’s enthusiasm for elected mayors. As such this will see the issue effectively sidelined under Brown’s government. The door remains open for city regional mayors however, with government ministers openly backing local campaigns in Birmingham and Liverpool for elected mayors for those cities, with the prospect of referendums there most likely in the near future. But elsewhere the prospects of elected mayors as a commonplace form of leadership in English councils looks most unlikely. For the opposition, Conservative leader David Cameron is a noted enthusiast of elected mayors, particularly for big cities but also for all councils, on the proviso that there is local support for them. On the evidence provided so far, such support is highly unlikely to materialise and his party does not share his enthusiasm either. While governments remain divided on the issue and are unwilling to push the model on local councils come what may, elected mayors simply remain an experiment in local governance in England. Local government in the United Kingdom is a settled feature of the constitutional architecture and has long acted as an agency of the state in order to fulfil many of the functions required by central government to ameliorate social problems throughout the years. The need for a comprehensive system of local authorities arose alongside the expansion in the population of urban centres around the time of the Industrial Revolution, with the old administrative units of what constituted a ‘local state’ unable to cope with the demands placed on them, such as disease, sanitation problems, squalor and unemployment. From 1835 onwards, with the creation of municipal corporations in urban areas, the history of British local government became a legislative one. In 1888, another Act brought into being the two-tier system of counties and boroughs that still exists in most non-metropolitan areas to this day.